Hoover and Associates has been serving the Detroit Metropolitan Area for over 25 years. We are dedicated to helping you find the coverage right for your health, your budget, and your future. We are committed to our customers and stay on top of the ever changing marketplace and Health Insurance options available to you. Put our team of experienced professionals to work for you. We would love to meet personally with you at our office in Royal Oak, Michigan, or you can set up an appointment to meet in the convenience of your home or workplace. Heath Insurance Solutions, Tailored to your needs, at NO COST or Obligation to you! WHAT DOES THE AFFORDABLE CARE ACT REQUIRE? WHAT IS A HEALTH INSURANCE MARKETPLACE AND HOW WILL IT WORK? WHAT DO I NEED TO CONSIDER WHEN SELECTING A HEALTH CARE PLAN? WHAT SHOULD I LOOK FOR IN AN INSURER? 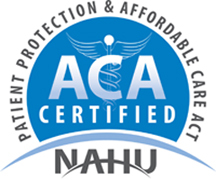 Hoover and Associates believes everyone deserves affordable, dependable and flexible health care. We determine your individual needs and shop the marketplace to offer a range of health insurance plan options to families, individuals, and the Self-Employed. From traditional health benefits to Health Savings Accounts Plans and more, Hoover and Associates will help you find the coverage that’s right for you. THERE ARE NO ADDED FEES TO GO THROUGH A LICENSED AGENT. Purchase through us and receive continued customer service and claims support. As a service to you, you may obtain health quotes and apply online 24/7 with the following carriers. A proposal can be obtained quickly with just a few key strokes that will allow you to view a complete range of plan designs from comprehensive to those offering very basic coverage. Please try it and let us know what you think! Also, please keep us in mind for friends in need of Health Insurance. As a fully independent financial firm, we represent over 100 service providers. We research the marketplace and customize our recommendations based on your individual needs and goals. Our team of professionals is dedicated to providing guidance, vision, and customer care that is required in every phase of planning. Your success is our priority! Traditional or Comprehensive health insurance pays a percentage of the cost of hospital and physician charges after a deductible (usually applies to hospital charges) or a co-pay (usually applies to physician charges, but may apply to some hospital services) is met by the insured. These plans can be more expensive because of the high potential benefit payout, the vast array of covered benefits, and the lack of network discounts from providers. PPO is short for a Preferred Provider Organization, a type of health plan that gives you the freedom to choose your own doctors and hospitals. However, your out-of-pocket costs are usually lower if you choose healthcare providers who participate in the plan’s network. HMO is short for a Health Maintenance Organization. It’s a type of plan that allows you to choose a primary care physician (PCP) in the plan’s provider network to coordinate your care. Your PCP tends to most of your health needs and refers you to a specialist in the network when necessary. If you have Original Medicare and you buy a Medicare Supplement policy, Medicare will pay its share of the Medicare-approved amount for covered health care costs. Then your Medigap or Medicare Supplement Policy pays its share. Dental Insurance is designed to pay a portion of the costs associated with dental care. There are several different types of individual and family dental insurance plans grouped into three primary categories: (1) Indemnity (generally called: dental insurance) that allows you to see any dentist you want who accepts this type of coverage; (2) Preferred Provider Network dental plans (PPO); and (3) Dental Health Managed Organizations (DHMO) in which you are assigned or select an in-network dentist and/or in-network dental office and use the dental benefits in that network. Vision insurance is a form of insurance that provides coverage for the services rendered by eye care professionals such as ophthalmologists and optometrists. The typical vision insurance plan provides yearly coverage for eye examinations and partial or full coverage eyeglasses, sunglasses and contact lenses, with or without copays, depending on the plan chosen. Supplemental Insurance Policies pay cash benefits when a policyholder has a covered accident or illness. Policies are specific in nature and cover options such as vision, dental, accident, cancer or specific heath conditions. Disability Insurance, often called DI or disability income insurance, is a form of insurance that insures the beneficiary’s earned income against the risk that a disability creates a barrier for a worker to complete the core functions of their work. It encompasses paid sick leave, short-term disability benefits, and long-term disability benefits. Statistics show that in the US a disabling accident occurs on average once every second. In fact, nearly 18.5% of Americans are currently living with a Disability, and 1 out of every 4 persons in the US workforce will suffer a disabling injury before retirement. Long-term care insurance (LTC or LTCI), is an insurance product that helps provide for the cost of long-term care beyond a predetermined period. Long-term care insurance covers care generally not covered by health insurance, Medicare, or Medicade. Individuals who require long-term care are generally not sick in the traditional sense, but instead, are unable to perform the basic activities of daily living (ADLs) such as dressing, bathing, eating, toileting, continence, transferring (getting in and out of a bed or chair), and walking. CONFUSED ABOUT MEDICARE OPTIONS? – WE CAN HELP!! Powerful Medicare Solutions at NO COST to you! Medicare is a national health insurance program for people 65 years of age and older, certain younger disabled people, and people with kidney failure. It is divided into two parts: Hospital Insurance (Part A) and Medical Insurance (Part B). While you do not have to pay for Part A if you meet the eligibility requirements, you must pay for Part B if you desire Part B coverage. There are many aspects to Medicare coverage especially when maintained in conjunction with or in lieu of a group insurance program. First are the coverage types relative to Medicare. Medicare Part A provides coverage for hospital related expenses. Part B provides coverage for physician services. Medicare Part D provides coverage for prescription drugs. Medicare Part C is typically a managed care based policy that both replaces and supplements standard Medicare coverage (although members are still required to pay their Part B premiums). Who Is Primary? Medicare or Your Insurance Plan? Medicare is not always the primary payer of your health care bills. Sometimes other insurers are required to pay before Medicare. For example, Medicare is the secondary payer if you are entitled to workers’ compensation. Medicare is also the secondary payer if you are entitled to Federal black lung benefits. Most commonly, Medicare is the secondary payer if you are employed by an employer with 20 or more employees and are covered by a group health insurance plan from that employer. Lastly, many carriers now offer Group Medicare Supplement plans which allows certain employers to sponsor highly comprehensive coverage to their elder population and reduce the average age of their group medical insurance participants therefore allowing them to receive lower premium rates for the remaining non-Medicare eligible population. Each Medicare Part D Formulary Plan is Unique. Our personal and individualized prescription drug study allows you to compare plans that we represent and determine your best options for coverage based on your actual prescription drugs. Make an informed decision. Let us help you compare plans, navigate through the Medicare enrollment process and help you choose the Medicare Supplement and Part D Plan that best suits your needs. If you or a loved one is eligible for Medicare, please contact our office to speak to a Medicare Specialist at (248) 298-4000.